This is such a delicious way to use avocado and is so versatile! Plus, it is incredibly easy to make which is always a huge bonus. I like using this as a spread on sandwiches or sauce on tacos and dressing for salads. You can even serve as a dip or add in cheese to make it more creamy. Also, try experimenting with the combinations of herbs..the possibilities are endless! I also added in a touch of MCT Oil which is a great source of healthy fats. Check out this article I wrote for more details on the benefits of MCT Oil. 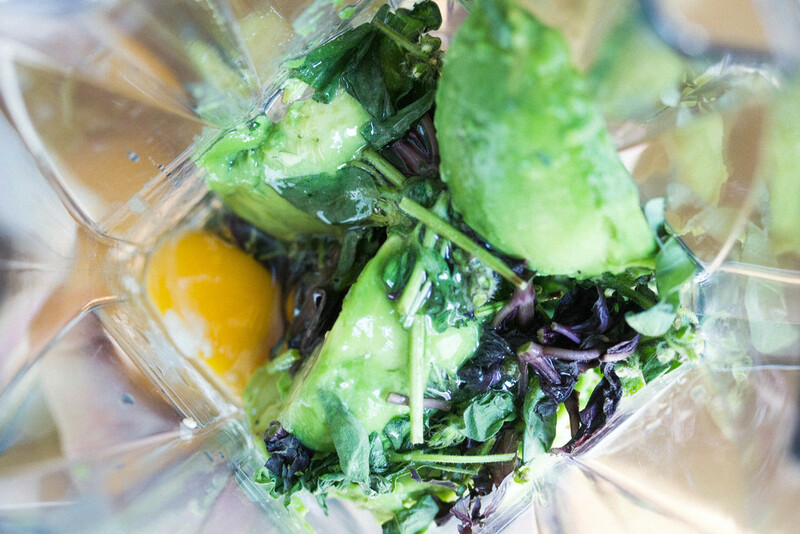 Combine avocados, chopped herbs, coconut vinegar, MCT Oil, lemon zest, and egg in Vitamix and blend until smooth and creamy. Season with sea salt and black pepper to taste, if needed.